American original Jane Ira Bloom does it again. This time the 21st-century soprano saxophonist reimagines the poetry of 19th-century visionary Emily Dickinson in two different settings. Her new 2 Cd pack showcases her jazz quartet's interpretation of Dickinson's poetry and includes a second version for jazz quartet and spoken word featuring readings by popular stage & film actor Deborah Rush. After the success of her 2016 trio album release Early Americans, Bloom shifts gears with Wild Lines / Improvising Emily Dickinson (OTL143) showcasing her acclaimed quartet in dialogue with poetry in her seventeenth album and first foray into music and text. 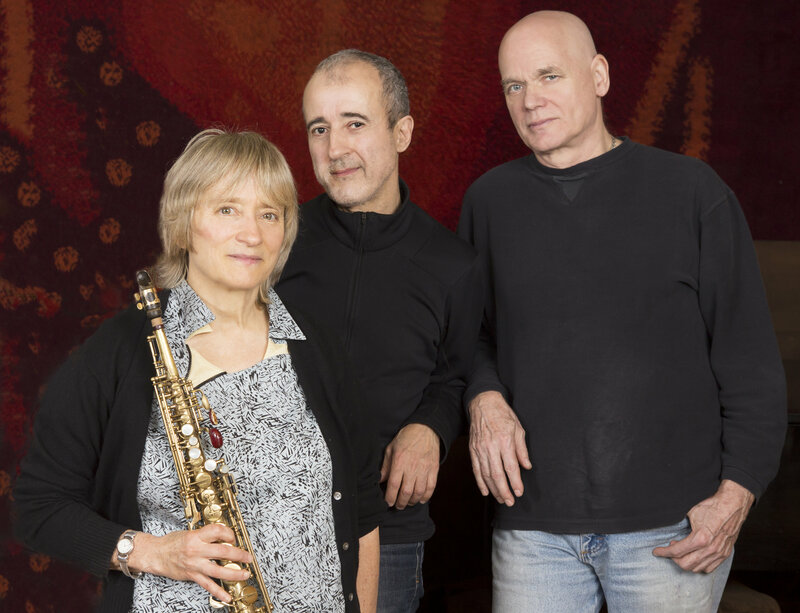 Her sound is like no other on the straight horn and she lets it fly with long-time band mates Dawn Clement (piano), Mark Helias (bass) & Bobby Previte (drums). 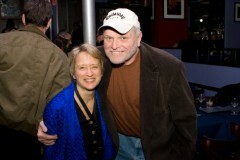 Adding the Emily Dickinson narrative to the ensemble on disc 2 is acclaimed actor Deborah Rush. 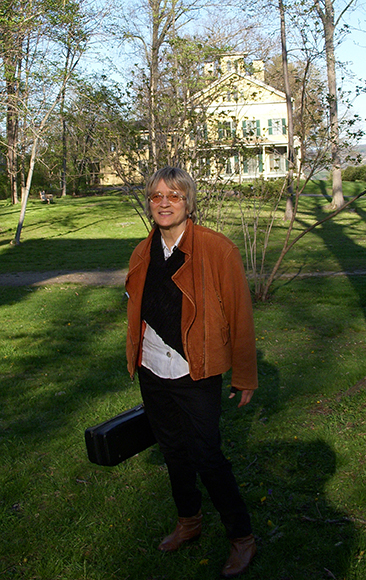 Bloom composed Wild Lines when she was awarded a 2015 CMA/ Doris Duke New Jazz Works commission. She was inspired to musically reimagine Dickinson when she learned that the poet was a pianist and improviser herself, reconfirming what she'd always felt in the jazz-like quality of Dickinson's phrasing. "I didn't always understand her but I always felt Emily's use of words mirrored the way a jazz musician uses notes." 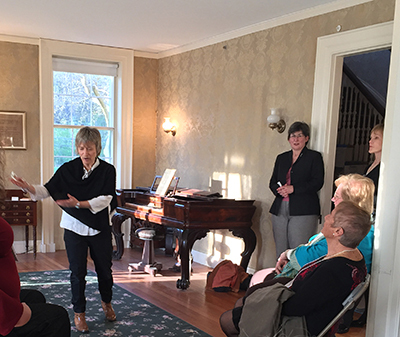 Wild Lines' premiere at the poet's home in Amherst, MA was followed by performances at the Kennedy Center and the NYPL for the Performing Arts. The ensemble then headed into Avatar Studios to record in stereo and surround-sound with renowned audio engineer Jim Anderson. 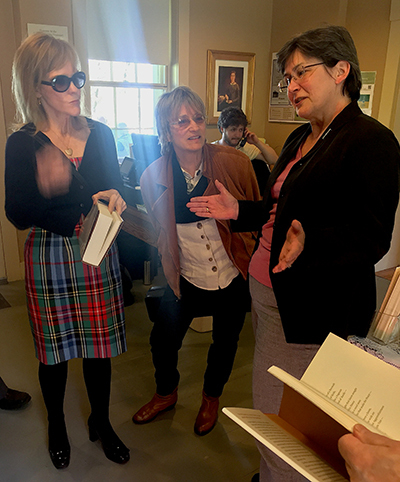 The album features fourteen Bloom originals inspired by fragments of Dickinson poetry and prose mined from both her collected works and envelope poems "The Gorgeous Nothings." The album closes with a solo rendition of an American classic, Rodgers & Hart's "It's Easy to Remember." Artist Gina Werfel contributes a stunning motion painting for the CD's cover image. Wild Lines / Improvising Emily Dickinson illuminates why jazz critic Brian Priestly called Jane Ira Bloom "the poet of the soprano saxophone." Recorded at Avatar Studios, Studio B, NYC July 16 &17, 2015. 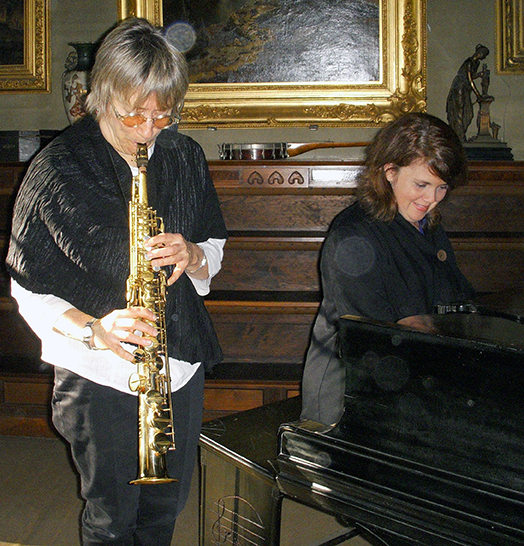 You never know what American original soprano saxophonist Jane Ira Bloom is going to do next. After the success of her 2014 all-ballads release "Sixteen Sunsets" Bloom shifts into another gear showcasing the kinetic energy of her acclaimed trio playing with the musicians that she knows best on Early Americans (OTL142). It's her first trio album, sixteenth as leader and sixth recording on the Outline label. Her sound is like no other on the straight horn and she lets it fly on every track. She's joined by long-time bandmates Mark Helias on bass & drummer Bobby Previte and with over fifty years of shared musical history together the album is sure to be a winner. Bloom's collaboration with Helias dates back to the mid 70's in New Haven CT and her unique chemistry with Previte has been ongoing since 2000. She brought the group together in summer 2015 to Avatar Studio B in NYC to capture their breathtaking sound in both stereo and surround-sound with renowned audio engineer Jim Anderson. The album features twelve Bloom originals ranging from the rhythmic drive of "Song Patrol" and "Singing The Triangle" to the spare melancholy of "Mind Gray River." She closes the album with a signature solo rendition of the American songbook classic, Bernstein & Sondheim's "Somewhere." World-renowned portrait photographer Brigitte Lacombe contributes a stunning cover image of Bloom. "Playing in threes" has always held a special fascination for jazz artists - it offers the possibility that something can be slightly off balance and that's just what fires the imagination of players like Bloom, Helias, & Previte. With Early Americans Jane Ira Bloom stands in the vanguard of her generation carving out new territory in the heart of the jazz tradition. 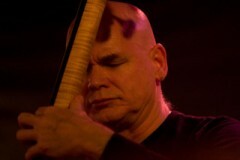 Don't miss this trio of "fearless jazz explorers who share a commitment to beauty & adventure." 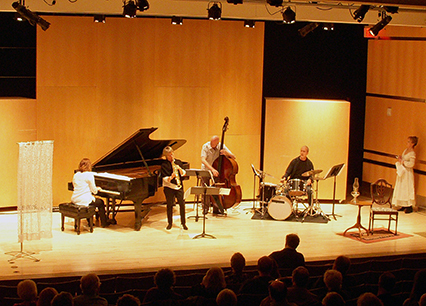 Program made possible with support from Chamber Music America's 2015 New Jazz Works Program funded through the generosity of the Doris Duke Charitable Foundation. 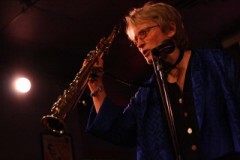 On April 28 2016 the Jane Ira Bloom Quartet with actor Deborah Rush premiered "Wild Lines: Jane Ira Bloom plays Emily Dickinson" at the Magic Triangle Jazz Series in Bezanson Hall at UMASS/Amherst. The 80 minute suite of compositions inspired by poet Emily Dickinson alternated musical compositions with fragments from the poet's writing in a newly imaged musical landscape. 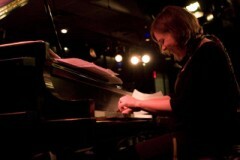 Bloom's reimagining of Dickinson was ignited when she learned that the poet was a pianist and improviser, reconfirming something that she had always intuitively felt about the jazz-like quality of her writing. "Even though I don't always understand her, I always felt that Emily used words the way jazz musicians use notes." The piece was made possible with support from Chamber Music America's 2015 New Jazz Works Program funded through the generosity of the Doris Duke Charitable Foundation. The ensemble subsequently performed the piece in fall 2016 at the Kennedy Center in Washington DC and the New York Public Library @ Lincoln Center. Jane in front of the Dickinson Homestead @ The Dickinson Museum, Amherst, Mass. The reception @ The Dickinson Homestead living room. 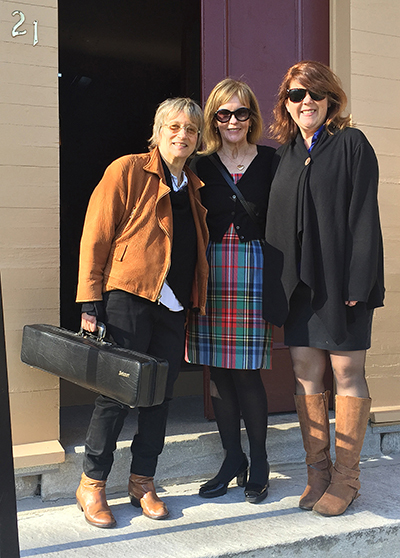 Jane Ira Bloom, Deborah Rush, & Dawn Clement in front of the Dickinson Evergreen Estate. 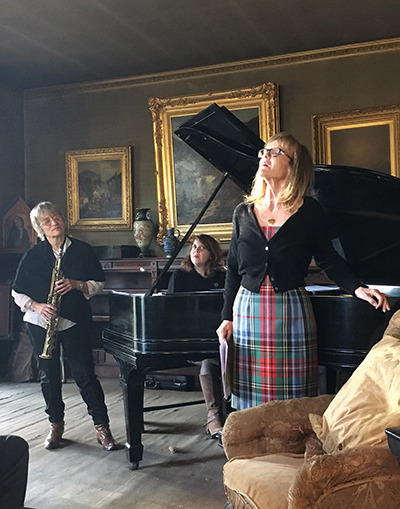 JIB Quartet (Dawn Clement, Mark Helias, & Bobby Previte) and Deborah Rush performing "Wild Lines" @ Bezanson Reictal Hall UMASS/ Amherst (April 28, 2016). 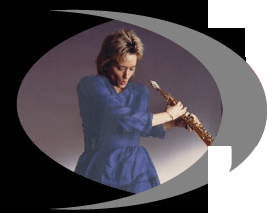 Jane was one of five renowned saxophonists selected to adjudicate the 2013 Thelonious Monk International Saxophone Competition at the Kennedy Center's Eisenhower Theater in Washington DC. 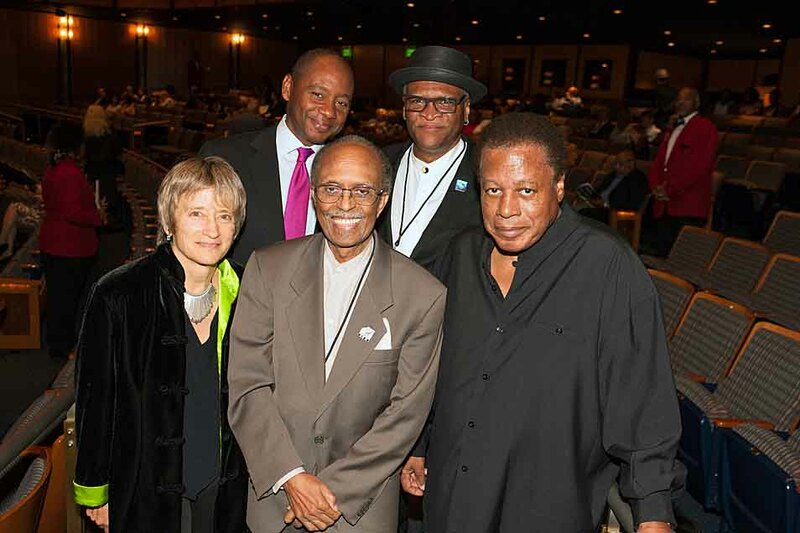 The other judges included Wayne Shorter, Jimmy Heath, Branford Marsalis, and Bobby Watson. Judges, guest artists, and 2013 Monk Saxophone Competition winner Melissa Aldana perform Jimmy Heath's 'Gingerbread Boy' for the Gala finale at the Kennedy Center. 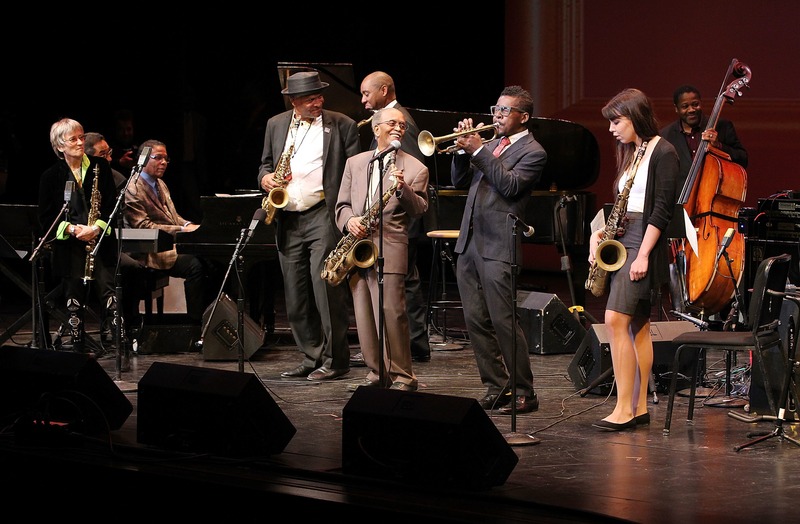 From left to right Danilo Perez, Jane Ira Bloom, Herbie Hancock, Bobby Watson, Branford Marsalis, Jimmy Heath, Roy Hargrove, Melissa Aldana, James Genus. 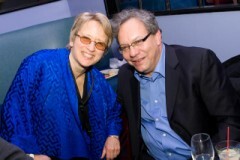 On September 11, 2013 Jane joined an exciting project performing a concert of new music featuring renowned jazz and Arab musicians in premieres of solo, duo, trio and ensemble works in remembrance and invoking the creative spirit of music for inner and international peace. The ensemble included Syrian vocalist Gaida, trumpeter and tenor saxist Joe McPhee, alto saxophonist Oliver Lake, bass trombonist Dave Taylor, oud player George Ziadeh, bassist Mark Dresser, nay, frame drum, riqq, & dumbek player Zafer Tawil, and conductor composer Sarah Weaver. 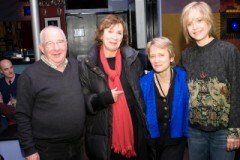 On November 2, 2011 Jane joined an exciting project performing a concert of new music and integrated video conceived for the telematic medium featuring renown improvisers performing together between San Diego and New York City. Telematic music is live performance via the internet by musicians in different geographic locations. The NY ensemble featured Amire ElSaffar, trumpet, Oliver Lake, alto saxophone, Tomas Ulrich, cello, Ikue Mori, laptop, Sarah Weaver, conductor and the San Diego ensemble included Nicole Mitchell, flute, Michael Dessen, trombone Joshua White, piano, Mark Dresser, bass and conductor. 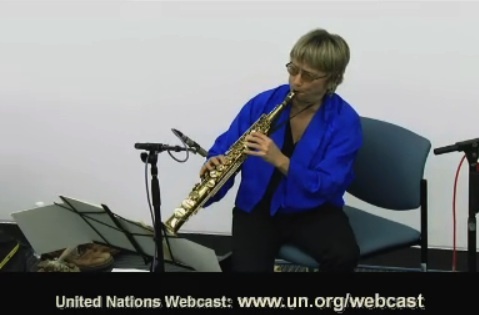 Jane was thrilled to be a part of the new music ensemble that performed "Resonations 2010" An International Telematic Music Concert for Peace at the United Nations on Friday, Dec 3, 2011 at 9:00pm. The ensemble performed new pieces by composers Sarah Weaver, Min Xiao-Fen and Yoon Jeong Heo in real time with renowned musicians from Bejing and Seoul South Korea via the internet using telematic music technology. The New York based group featured bassist Mark Dresser, conductor Sarah Weaver, pipa player Min Xiao-Fen, vocalist Jen Shyu, and percussionist Satoshi Takeshi. There was international magic in the air. Check out a documentary webcast of the project here. In October 2009 Jane joined Dennae Productions, a collaborative team including film director and producer Judy Dennis, producer Ellen Dennis, writer Jules Feiffer, dancer Andrea Weber, choreographers Susan Marshall and Larry Keigwin for an eight week residency at the Baryishnikov Arts Center in NYC to workshop a new short film reinterpreting Jules Feiffer's cartoon character "the modern dancer." After principal photography was completed in summer 2010, Jane recorded the soundscore for the project at Avatar Studios in NYC in October 2010. 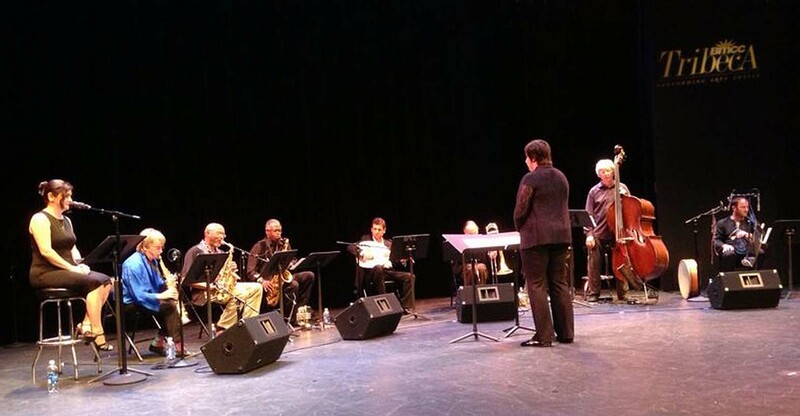 The ensemble assembled especially for the project included flutist Keith Underwood, bass clarinetist JD Parran, oboist Diane Lesser, vibist James Shipp, bassist Dean Johnson, and conga player Annette Aguilar. Audio engineer Jim Anderson was on hand to record the project. Look for first screenings in February 2011. Jane Ira Bloom performed the world premiere of "The 5th Wheel", a new collaborative work with legendary dancer/ choreographer Carmen deLavallade on Friday, September 28, 8:00pm at NY City Center's Fall for Dance Series. "The 5th Wheel" was the latest piece in a continuing collaboration between legendary dancer/choreographer Carmen deLavallade and Bloom. It explored the spatial and sonic relationships between a dancer on wheels and a jazz quartet with one musician on the loose. The music based on Bloom's original piece "Ice Dancing" featured a quartet of jazz improvisers onstage including bassist Rufus Reid, drummer Jerry Granelli, and pianist Dawn Clement and was the springboard for deLavallade's playful and evocative choreography. Bloom & deLavallade also appeared on a panel entitled "Dance & Music: A Dynamic Dialogue" moderated by critic John Rockwell on Thursday, Sept 27, 6:30 - 7:30pm at City Center Studios, 130 West 56th St.
"the ageless Carmen deLavallade, the Lena Horne of dance, was not only as glamorous as ever (in a clinging red outfit) but was full of beans in The 5th Wheel, a vigorous head-to-head with the terrific saxophonist Jane Ira Bloom." 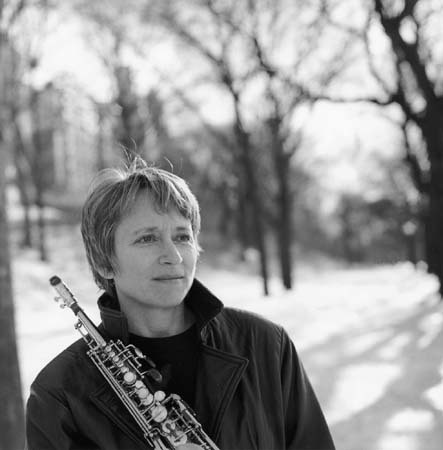 Saxophonist/ composer Jane Ira Bloom has been selected for the 2007 Mary Lou Women in Jazz Award given by the John F. Kennedy Center for Performing Arts. As the recipient of the award for her lifetime of service to jazz, Bloom will be publicly recognized at the Kennedy Center's Terrace Theater on Friday, May 11, 2007, as part of the 12th Annual Mary Lou Williams Women in Jazz Festival. 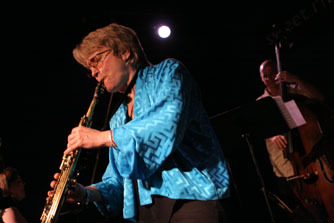 Jane Ira Bloom is recognized as a pioneer in the use of live electronics and movement in jazz. 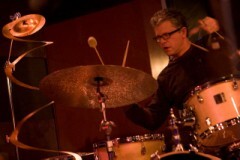 As a bandleader, Bloom has recorded more then 12 albums. A strong visual thinker and a cinematic stylist, Bloom's affinity for other art forms such as painting, film, theater, and dance has both enriched her music and expanded her creative projects across the arts. The Kennedy Center established the award in 1996 in honor of Mary Lou Williams for her work as "a pianist, composer, arranger, teacher, mentor, and humanitarian, who left her mark on nearly every aspect of jazz, defying gender, race, and category with her wide-ranging gifts." Prior recipients of the award include Cobi Narita, Shirley Scott, Melba Liston, Vi Redd, Carline Ray, Marian McPartland and Toshiko Akiyoshi. 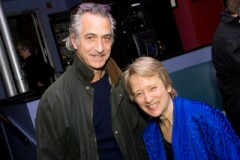 Saxophonist/ composer Jane Ira Bloom launched the release of her latest CD "Mental Weather" (Outline OTL139) at the Iridium Jazz Club on Wednesday, Jan 30th, 2008. The quartet featuring Dawn Clement (piano & Fender Rhodes), Mark Helias (bass), and Matt Wilson (drums) brought the house down for an audience filled with celebrities (comic Lewis Black, actors Brian Dennehy, David Strathairn, Jill Eikenberry, Michael Tucker, Maria Tucci, and Joe Grifasi). Photographer Matthew Sussman was there to capture it all.